This large family home in south Dublin proves that big homes don’t need to be cold and draughty, comfortably beating Ireland’s planned nearly zero energy building standard for 2021 — even though it was finished in 2015. Having lived in lots of different houses, when it came to self-building their own home Sinead and John were eager to take the best bits from all the properties they’d lived in. “For us the big thing was the possibility of living in a house that was warm and comfortable and draught free,” Sinead says. Project architect Adrian Hill brought on board passive house designer Tom Byrne as energy consultant, while Sinead’s husband John found leading low energy contractor Mannion Passive House Builders online, and the couple eagerly visited one of their projects. “It’s great to actually walk through a house that your builder has just worked on,” Sinead says. So what did the couple want from their new family home? For one thing, they were keen to maximise views from the rear elevation, which faces south-west over a golf course. “That’s where we wanted all of our big windows,” she says. There are also brise soleil on the facade here to control overheating. Architect Adrian Hill says his main task was to balance design with energy efficiency. High performance windows were essential given the large extent of glazing. The complexity of the roof, with its different elements and dormers, was another challenge — particularly ensuring it was airtight and free of thermal bridges. Thermal breaks to the steel work supporting the first floor also involved careful thermal detailing. This article was originally published in issue 21 of Passive House Plus magazine. Want immediate access to all back issues and exclusive extra content? Click here to subscribe for as little as €10, or click here to receive the next issue free of charge. Sinead admits living in such a low energy house has been learning curve — from understanding how the mechanical ventilation with heat recovery (MVHR) works to why they couldn’t put a letterbox in the front door (to protect the airtightness layer). “Things like that were all new to us,” she says. She admits to being uncertain about the MVHR at first, but says living with the constant, pre-warmed fresh air delivered by the unit has changed her mind. “It’s very comfortable — it’s not an issue at all,” she says. She’s also happy with how the house’s Nibe air-to-water heat pump is performing. “I don’t even know it’s there, I never have to turn it off or turn it on,” she says. The system - which was installed along with underfloor heating by NGS Mechanical as part of the plumbing and heating package - consists of a 12 kWh outdoor collector and fridge-like indoor unit, complete with preinstalled hot water cylinder, buffer tank, pumps and expansion vessel, with an ultrasonic heat meter, allowing its energy performance data to be studied online via an App or PC. “The software is smart grid ready and can even interact with other renewables such as PV, and it can run the heat recovery ventilation from the same platform,” said Paul O’Donnell of Nibe distributor Unipipe. The figures look remarkable for any building, let alone a 389 sqm detached house: the heat pump is using just 3.8 kWh/m2/yr of electricity to heat the house, which works out at just €202 per year. Nibe’s monitoring also retains the two most recent months of temperature data – from March to May. In that time, the house hasn’t once dropped below 21C, and has barely ticked over 23C. Sinead and John also have a Heatmiser digital thermostat in the kitchen, which controls temperatures in each room (there is underfloor heating in all rooms downstairs, and radiators upstairs). There are also standalone log burning stove and gas fire to individual living spaces — at 389 sqm, this is a big house, after all. But with an energy performance co-efficient of 0.269 – meaning the building’s energy demand should be no more than 26.9% of the same building if built to the 2005 building regulations – it comfortably beats Ireland’s planned nearly zero energy building (nZEB) standard, which Ireland is legally bound to implement for all new homes completed after 2020.
walls are blockwork with a 150mm cavity, full-filled with Xtratherm CavityTherm rigid PIR insulation. Measured energy consumption (heat pump): 1445 kWh per year for space heating, 2213 kWh for hot water. Windows: IV 78 + HPl triple glazed aluclad windows, with glazing U-value (Ug) of 0.6 W/ m2K and frame U-value (Uw) of 0.9 W/m2K. Heating system: Nibe F2040 12kW air-to-water heat pump, with indoor VVM 320 module containing preinstalled water heater & buffer tank. Room sealed wood burning stove. Ventilation: ProAir 600 MVHR unit with effective heat recovery efficiency of 88.8% (PHPP), passive house certified component. SAP Appendix Q: 91% efficiency. 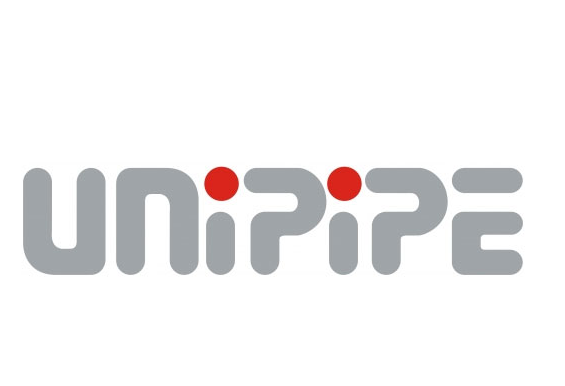 Unipipe are specialist distributors of heat pumps, underfloor heating and renewable low-energy heating systems.